Climbing is an elusive skill that many want to have, and few seem to have mastered. It’s often times the key component of many events, touting huge climbs and relentless rolling hills. They can wear even the strongest rider down both mentally and physically, and leave you feeling completely spent. However, if you can understand what makes a great climber, the science behind climbing, and how to alter your training to prepare for the climbs, you can conquer any grade with confidence. Climbing will never be easy, but you can be prepared armed with the knowledge and workouts necessary to get you up and over your next big climb. What Makes a Great Climber? There are many different factors that go into making a great climber. While these components don’t have to be represented equally, they are all necessary to being a successful climber. Keep all of these in mind when you’re working towards being a stronger climber. The first component and possibly one of the most underrated is form. This is simply how an athlete pedals their bike when they are going uphill. While strength and aerobic capacity are important, without proper form a rider wastes too much energy propelling themselves forward. The goal should be to remain relaxed and seated for as long as possible, keeping a cadence of between 80-90 rpms. Try to relax your upper body and keep your hips and low back stable as you apply power to the pedals. Next, focus on your strength to weight ratio. This ratio highlights how much power you’re able to generate per lb/kg of body weight. The higher the ratio the better you’ll be when the grade begins to increase. This is one of the best metrics to keep watch of as you track your progress through a season or a training cycle. Another component, and one of the ways to increase your strength to weight ratio, is to increase your threshold. 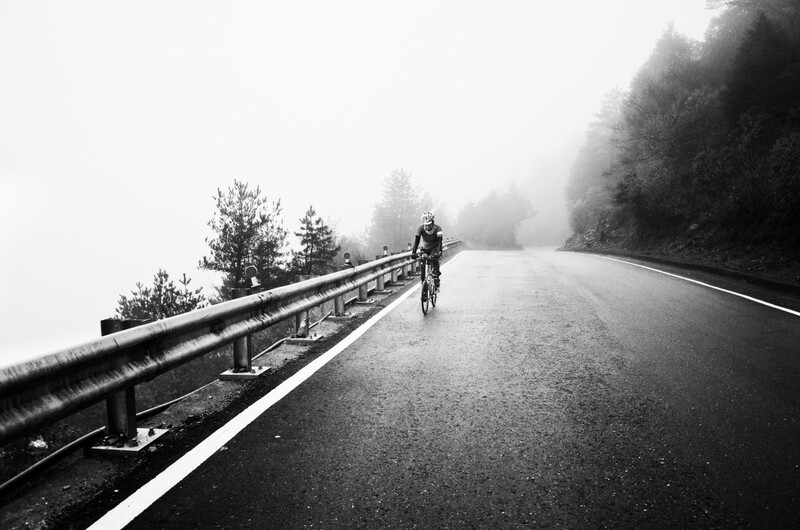 Your lactate threshold, or the maximum amount of work that you can do for 1 hour, is vital to being a good climber. If you’re training with heart rate or power then performing workouts that increase this number are valuable not only to climbing, but your overall fitness as a cyclist. Remember, the higher your threshold the more power you can generate for the duration of the climb. One of the things that makes great climbers successful is their ability to tackle the mental obstacles that come with climbing. Many riders are defeated before the climb begins due to negative self-talk and a poor attitude. Develop the mental strength and psychological tools needed to tackle any ascent. Work on steady and calm breathing, remembering that often times once your breathing deteriorates so does your performance. Also, try to remain positive going into the climb. Don’t let your nerves get to you! Now that you understand what it is that makes a great climber you can begin to dive into the science behind why climbing is more difficult. Understanding the intricacies of both your bike and your body will further help you prepare for your next climb. Your bike is constantly battling three primary forces: rolling resistance, air resistance, and gravity. When you begin to go uphill gravity becomes the primary concern, as the other forces diminish. As the grade gets steeper, the gravitational pull increases exponentially. It’s for this reason that a high strength to weight ratio is important. The lighter the body and the bike that you’re moving uphill, the less gravity will effect your upward movement. Body composition is extremely important to be a great climber. Every 1 pound of body weight takes approximately 2 watts to move uphill. Striking the proper balance between height, weight, and power is vital. Finding your height to weight ratio can help you hone in on your ideal balance. Simply divide your weight in pounds by your height in inches. The ideal ratio is 2.1 for men and 1.9 for women. This provides a good benchmark for most riders to determine how efficient they can be as a climber, and where they might be able to improve. As you begin to propel your body uphill you’re applying more force to the pedals. This in turn causes your muscles to contract for longer and produce lactic acid. This causes the all too familiar burning sensation in your legs as you climb. Your number one weapon against this response is to keep your cadence high and remain seated. This tactic causes muscle to contract faster and lessens the build up of lactic acid. Your body is also consuming oxygen at a faster rate. This means that you have to adjust your effort accordingly to be able to supply your body the necessary oxygen for the duration of the climb. If you begin to work outside of your body’s ability to produce sufficient oxygen (anaerobic), you’ll most likely bonk. 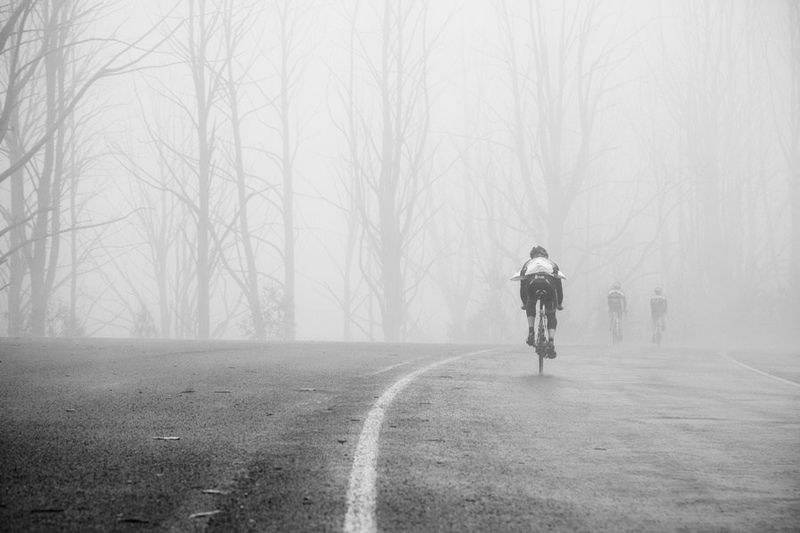 So keep your cadence high, remain seated, and remain aerobic for the best approach to your big climbs. Understanding the key components as well as the science behind climbing are critical to grasp before you apply the correct principles to your training. This understanding will allow you to know exactly where you’re lacking as a rider to then prescribe the appropriate workouts. Let’s now apply what we’ve learned to specific workouts. One of the best things you can do to increase your ability overall as a cyclist is threshold work. This comes in two different forms. Sweet spot intervals which are 80-90% of your established threshold and usually last anywhere from 15-30 minutes are the perfect way to increase your threshold without accumulating excess training stress. Secondly, anaerobic intervals are performed above your threshold and usually last for 10 seconds to 1 minute. These can provide the top end power when the climbing gets steep, and you have to get out of the saddle. Before any workout it’s best for athletes to ride for at least 20 minutes at an easy pace to get warmed up. Strength training for endurance athletes is about building a stronger, more well-rounded athlete. Focus on exercises that have multiple hinge points. For example, curls have one hinge point and squats have three. Explosive exercises and functional movements help to develop smaller connective muscles, fast twitch muscles, and tissues that aid in injury prevention. Focus on “primemovers” like your quads, glutes, hips, and low back. Regardless of the type of strength work you do, HIIT, Crossfit, traditional machines, etc., keep these key elements in mind to ensure you’re building the appropriate muscles for cycling. 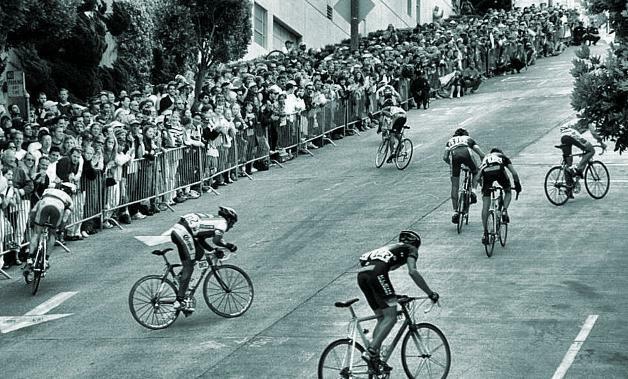 If you’re going to be a good climber, you need to train on hills. Workouts such as repeats done for 8-12 minutes @ 4-6% grade done at threshold are a great place to start. Another key session is max effort repeats above your threshold for 1-3 minutes. If you don’t have hills you can perform “big gear drills” where you focus on maximum power to the pedals in the biggest gear you can turn for 3-10 minutes. 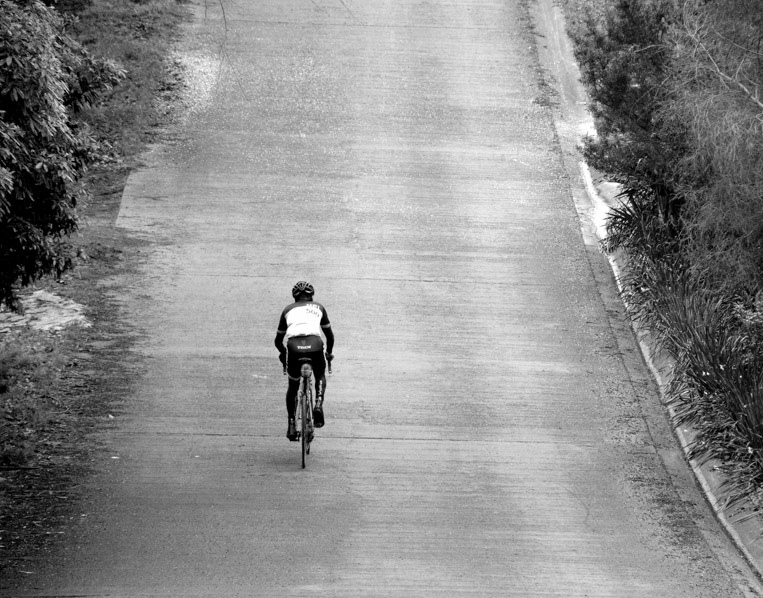 Integrate hill work into your routine 1-2x per week on top of your normal riding. Make being a better climber a priority by focusing on specific workouts that are guaranteed to make you better. One of the best things you can do to improve is to put yourself out there! Don’t be afraid to apply what you’ve done in training to your favorite group ride or race. These are the times when you can develop your mental strength as well as work on climbing strategy. If what you’ve been doing doesn’t work in a real world application, then go back and adjust your training strategy to come back stronger. Riding and racing with your peers will keep your training on track and keep you honest about where your strengths and weaknesses are. Climbing is a classic part of cycling. Most riders have stories of epic climbs and brutal terrain that are both inspiring and frightening. Once you’re armed with the knowledge of what makes a good climber and how to properly train for the climbs you can feel confident in your ability. Don’t shy away from big days in the mountains, or relentlessly rolling gravel rides. With a little science and some hard work you can be ready to tackle any terrain. Taylor Thomas is a dedicated endurance athlete with over a decade of experience as a competitive cyclist. He’s been involved in all facets of the sport, from working professionally with top brands like Trek and Specialized, founding race teams, organizing events, and personally competing at all levels. His racing background includes road, cyclocross, triathlon and ultra endurance events that push the body and mind to their limits. Taylor enjoys sharing what he’s learned as a pro mountain biker with his athletes to help them achieve their goals. As a USAC and Training Peaks Level 2 certified coach he’s gained not only the scientific knowledge, but the real world knowhow necessary to help athletes balance life and training. 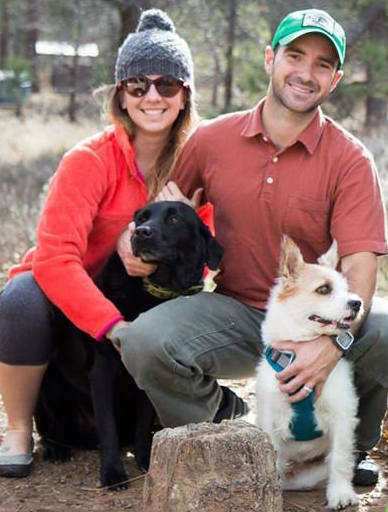 When he’s not on his bike he can be found on long trail runs or rock climbing in the mountains with his wife and dogs.